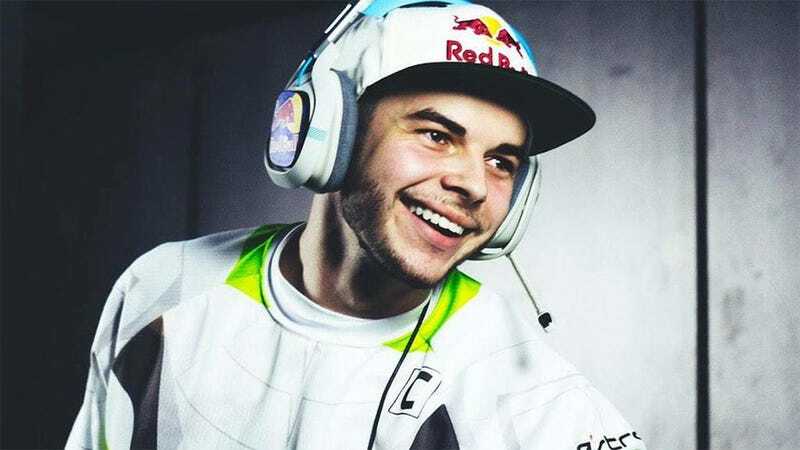 “I felt like I was playing to not lose...I wasn’t really playing to win.” Following a seventh-place finish in last weekend’s Call of Duty Championship, Matthew “NaDeSHoT” Haag has stepped down as captain of OpTic Gaming and away from competitive play. “I’m kinda tired of being the scapegoat for the team,” said Haag in a video message to the 1.7 million subscribers to his YouTube channel posted today announcing his resignation as team captain of OpTic. A competitive gamer since the age of 13, 22-year-old Haag has been on the OpTic Gaming Team for six years, taking over as team captain in 2014. He’s an incredibly popular personality in the competitive Call of Duty scene, and was the subject of a New York Times profile last year. Last week’s poor finish at the Call of Duty Championship contributed to a decision that Haag has been kicking around for months, according to the video. Knocked out of the winners’ bracket in the first round eventual tourney champs Denial eSports, Team OpTic made it to round three of the losers’ bracket before falling to third place finishers FaZe Red. Haag, still a co-owner of Team OpTic, is confident he’ll return to competitive Call of Duty play at some point in the future under the OpTic banner, but for now looks forward to not having three other people and countless fans relying on him to perform day in and out.